The oral health of the nation will go under scrutiny in a new University of Adelaide study starting today – the first national study of its kind in more than a decade. In total, 15,000 Australians will be asked to take part in surveys and free dental examinations as part of the National Study of Adult Oral Health 2017-2018. The $5.8 million study will assess the level of oral diseases among adults, and the effectiveness, sustainability and equity of dental services across Australia. The study will be conducted by the internationally recognised Australian Research Centre for Population Oral Health (ARCPOH) in the University’s Adelaide Dental School, in partnership with federal, state and territory departments of health and dental services. “It’s critical that we understand the changes in dental health among adult Australians, and the quality, prevalence and accessibility of services they receive,” says chief investigator Professor Marco Peres, Director of ARCPOH and Professor of Population Oral Health at the University of Adelaide. “Oral health is vitally important to our general health – with well-established links to cardiovascular disease, diabetes and many other conditions – as well as to people’s quality of life. “Unlike general medical care, the high cost of dental care is largely borne by the individual. And with some oral diseases being very expensive to treat, this places a large section of our community at a further disadvantage, with treatment being almost unattainable for some people,” Professor Peres says. Members of the community will be selected at random to take part in this study. The 15,000 Australians will be interviewed over the phone or via a web-based survey, and will be invited to have a free dental examination to assess their dental health. Researchers will also track the 5500 participants from the previous national study 10 years ago, also conducted by ARCPOH at the University of Adelaide. This media release was published in the University’s Latest News. Congratulations to Associate Professor Lisa Jamieson on receiving a Senior Research Fellow B (SRF B) commencing in 2016 to 2020 (Grant Title: Advancing Aboriginal Australian oral health through intervention studies, longitudinal studies, modelling and surveillance). 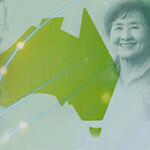 The Research Fellowships Scheme aims to recruit and support Australia’s very best medical and health research talent in full time research during the most productive years of their research life to further develop as leaders in their field and contribute to the Australian research community through active participation. A critical objective of the scheme is to foster an intellectual environment which supports and builds the capacity of Australian research for the future and in so doing, creates knowledge through investment in research which improves health and thus contributes to Australia’s prosperity. This year NHMRC received 290 Career Fellowship applications of which 69 have been awarded funding. PhD student Helena Silveira Schuch has been awarded a Florey Medical Research Foundation prize. The title of her poster was “longitudinal effects of socioeconomic status on periodontitis: a systematic review’.